Today we invited family over. Family we haven’t seen for a while. This is a great excuse to do some cooking and so I decided to cook a lamb roast with apple pie for pudding. Also, some carrot cakes for tea. So, we could have eaten out, but I like cooking and spent an hour the day before making my fairy cakes and apple pie. Once you get going, it is fun. This is a great excuse to do some cooking and it won’t take long. Put some fun tunes on, get all the ingredients out, pour a glass of something and off you go. Lard, butter and plain flour, rub it until it’s like breadcrumbs, then add a little milk and roll until a ball, then throw some flour down and roll into a circle. Meanwhile, peel apples, slice into a bowl, sugar in top and shove into the microwave for about 6 mins. Well, this isn’t healthy, but you are entertaining. When the apples are soft take out and cool. Later put the pastry on, smooth a dab of milk and oh dear, more sugar. Well, it is calorific but oh well. I cooked the apple pie the next day, before popping the roast in. 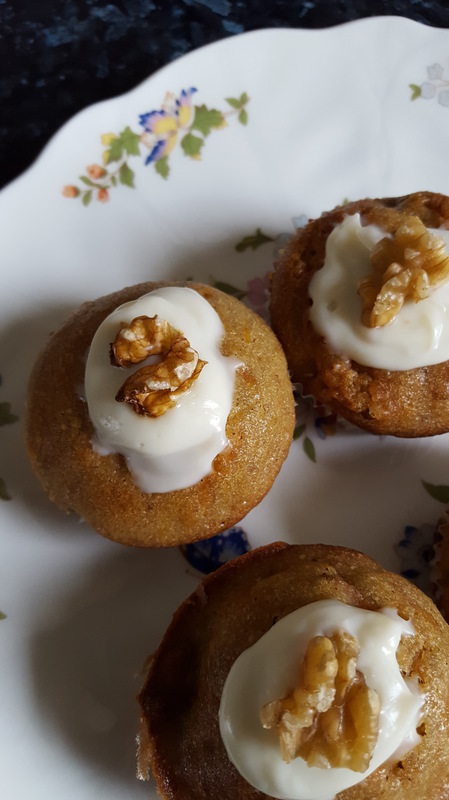 The cakes are just a fairy cake/cup cake mix, but with brown sugar plus a carrot, grated, chopped walnuts and a dash of cinnamon. The roast went in at 11am with a mixture of cream cheese, butter and fresh rosemary on the leg of lamb. Some wine was poured into the tin and covered with foil. The lamb cooked in the wine steam and produced some glorious gravy. Peel some small potatoes and parsnips and put the potatoes in at midday. They were dabbed with a little butter and rosemary. Parsnips were added about 12.30. 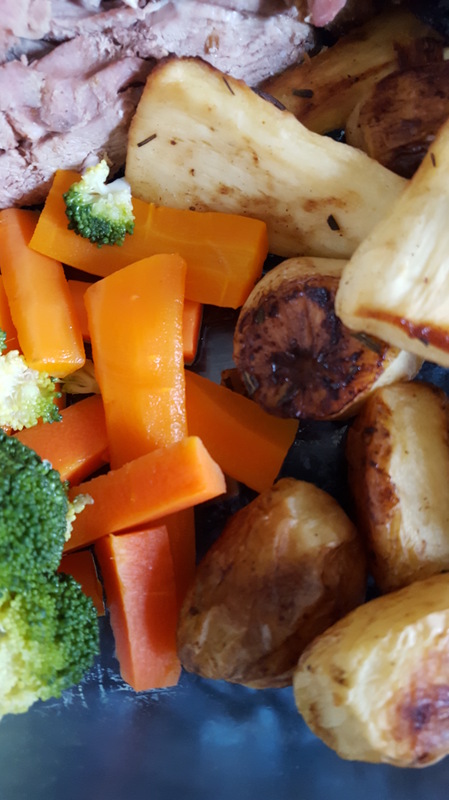 The broccoli and carrots were boiled at 1pm and our guests arrived. The gravy was decanted from the meat. Everything was put in dishes for and taken to the table. The meal was enjoyed with some wine. Really liked cooking, eating and catching up on the family news. Don’t forget to lay the table so it looks super. Plates, vegetable bowls and when you have the evening tea, use teapots, cups and saucers. Cook and present the food and drink, with love. It is fun and your guests will appreciate the effort. The afternoon was spent wandering around our local, beautiful park. A great way to get some fresh air and exercise and work off some of the large dinner. Followed by more cups of tea, salad and quiche and more family arriving. They seem to devour the cakes too! When our visitors left, we had a small glass of wine, but soon flopped into bed. Phew. This is great! I’ve recently atarted experimenting with cooking and I’m having soooo much fun. I love cooking with fresh ingredients!! !